For seven years or so I gardened pretty much solely in containers. Renting meant we couldn’t do a great deal to any of the gardens that came with each new house other than mow lawns and trim hedges. In other words, the boring bits. Container growing was the only way to get my growing fix. Our pots mainly consisted of edibles. We had good crops of courgettes, French beans, tomatoes, spuds and salad leaves. 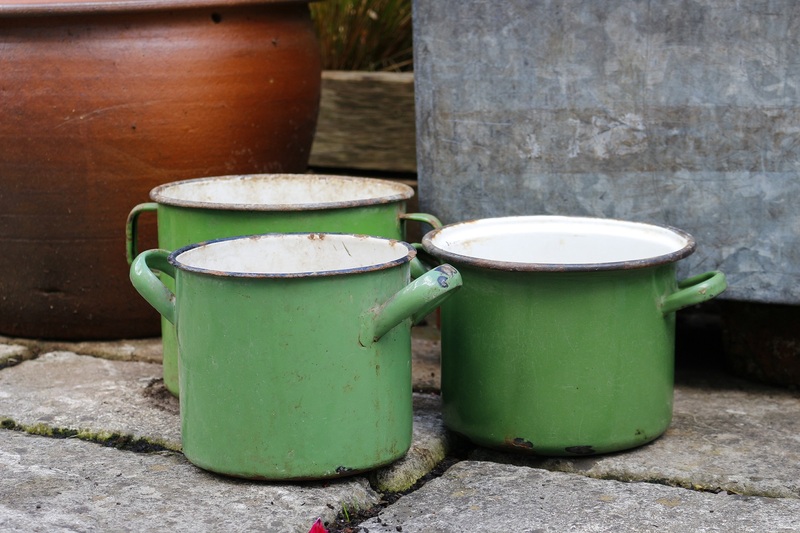 To be honest though by the time we had our own patch of soil my interest in pots had rather waned. Growing in the ground was a bit of a revelation. For about 5 years I had hardly any pots and I think I found it quite liberating. 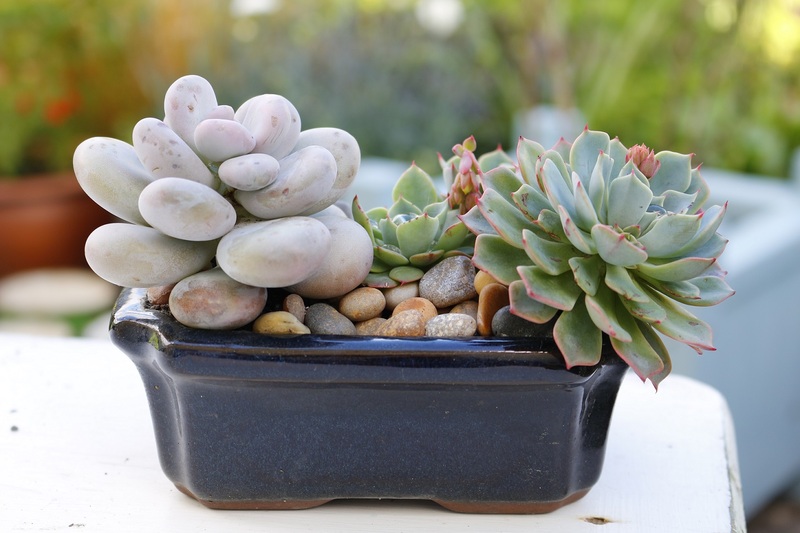 Pots, particularly small ones are demanding on time with all that watering and feeding. However, over the last few years my love of containers has been rekindled. It has taken a while, but pots have slowly started to creep back into the garden, partly because I’m running out of soil and partly because I’m learning to appreciate them all over again. There are pots by the front door, pots with succulents, and planters with herbs. But what to use as a container? I was lucky enough the other day to receive a wooden planter for a project I’m working on. Made in Herefordshire by The Posh Shed Company it’s rather lovely – good and solid, and in a very fetching shade of blue (they’re available in a selection of other delicious colours too). You could plant directly into the planter if you lined the slatted wooden base line with an old compost bag or some plastic sheeting with holes punctured into it. I rummaged in the shed for a pot that fitted snugly inside instead. 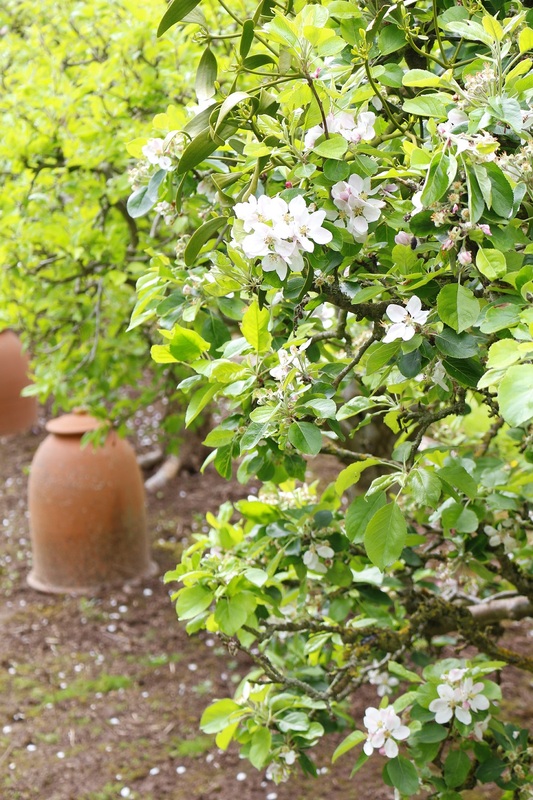 It was as I was planting this wooden container that I caught myself thinking about how the choice of pot can make such a difference to a particular display and your garden as a whole. In the past I was rather limited in my choice of pots. Moving constantly meant I didn’t want anything too heavy and my gardening budget was quite small. If I’m honest though it was more my imagination as to what to use as a pot that was the limiting factor. Plastic was my first choice. It was cheap, practical and lightweight, but let’s face it plastic pots aren’t particularly attractive. However, as they tended to be home to courgettes and potatoes I wasn’t too bothered at the time. Terracotta is probably the most widely used material for containers. Most of my pots were clay but I’m less fond of it now. For me, the colour seems to jar in my garden and I’m not sure it’s the best foil for many plants. 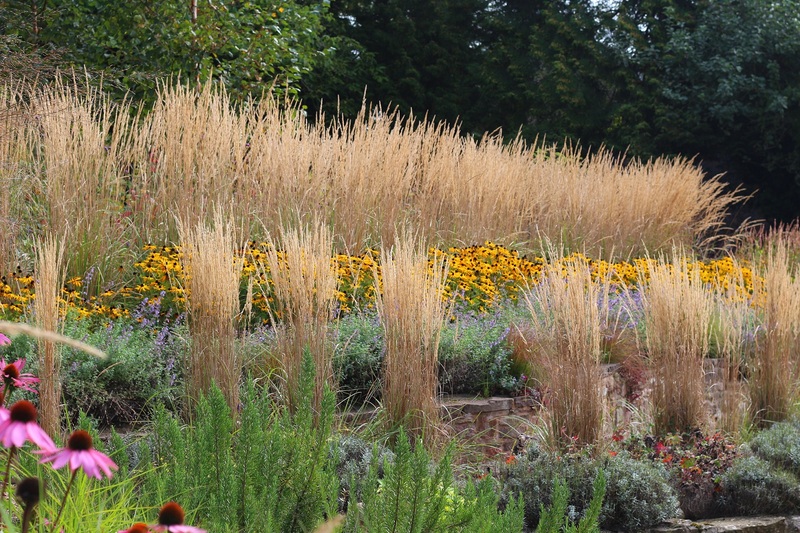 I find the orange tones don’t work with pastels which dominate my planting. It’s all a bit fake tan-like for me. I still have a collection but it dwindles every year as I lose some pots to frost. 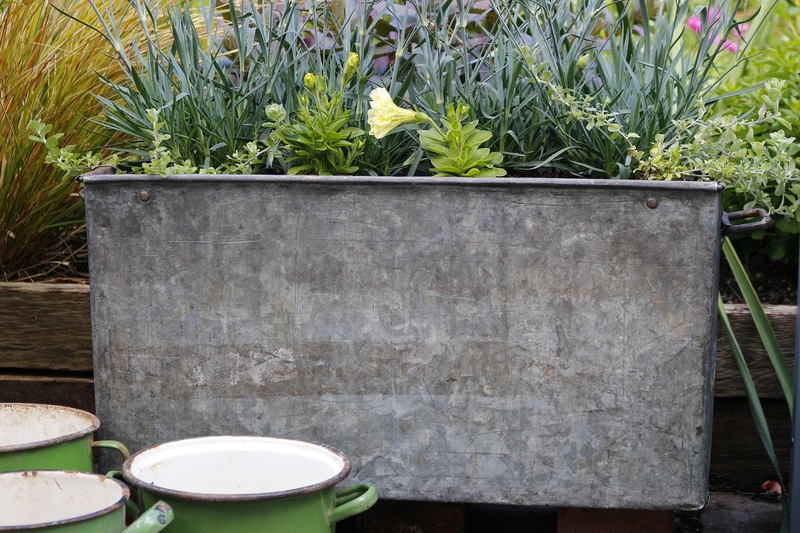 I do like the older-style terracotta which tends to be less orange – more of a pale, creamy colour, and most of my succulents are at home in these terracotta pots picked up from flea markets and second-hand shops. They’re easy enough to find and generally inexpensive. 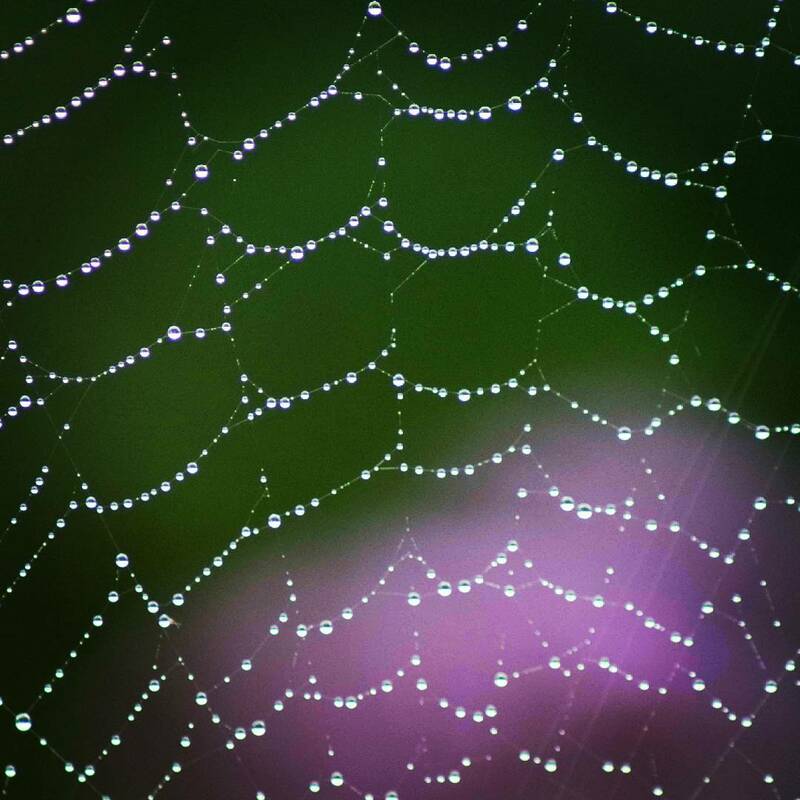 I’ll often find them hidden under a table in a box covered in cobwebs and the fragile skeletons of spiders. Larger terracotta pots, especially the older ones are pricey, and one of the lessons I have learnt is that if you are growing in pots the larger the better. One of the biggest mistakes I made as a rookie gardener was to buy small pots which a plant would fill all too quickly. Often I hadn’t given much thought to proportions either. By the time the plant had reached maturity it would more often than not look like it had out grown it’s home, rather like the teenager who has had a growth spurt and is sporting half-mast trousers. Gradually I’m moving away from terracotta in favour of other materials. Vintage finds are some of my favourites. Zinc baths are fabulous. If you’re after a large planter they can be excellent value for money. Flea markets and shops are the best places to find them and the cheapest. 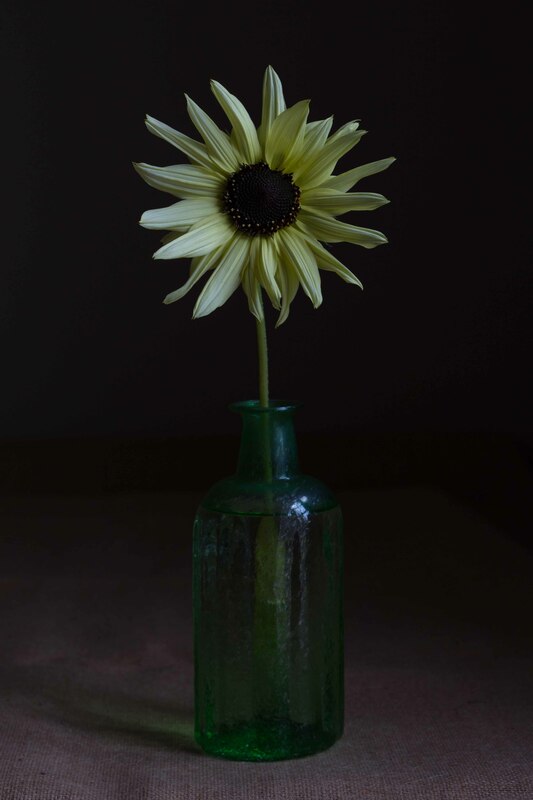 You can also find them online and in shops which specialise in gardenalia. This rectangular metal box was £10 from Malvern Flea Market. A trader had bought a job lot of them from an old garage which had closed down. They were a bit on the greasy side when we got them home but nothing a good clean couldn’t shift, and they’ve looked beautiful this spring planted up with tulips. I’m a bit obsessed by vintage enamel. I’m a bit like a bloodhound who has the scent when I go to one of my favourite flea markets. 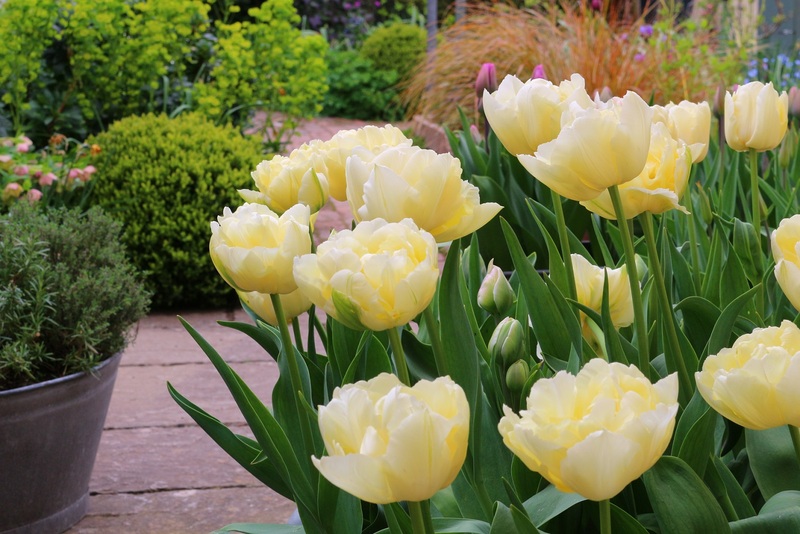 These were great value – £15 for the 3 from Toby Buckland’s Garden Festival. I discovered this bonsai pot on a recent shed clear out and thought it would be perfect for a few succulents. 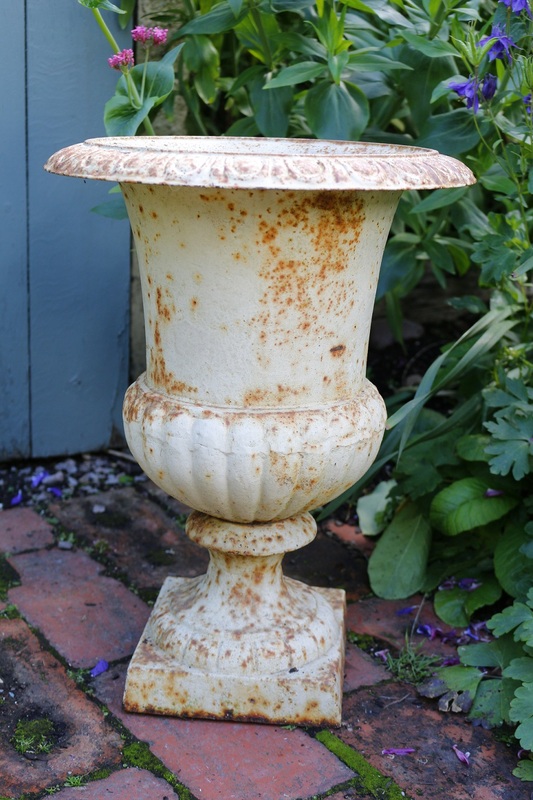 Then there is this vintage urn – it’s part of a pair. Crikey, they’re heavy – hence me moving only one out of the shed for this picture – but they look amazing. Sadly they aren’t mine, I’m just looking after them until I can deliver them to a friend. The problem with vintage stuff is that if you’re not careful your garden can start to resemble a scrap yard or flea market and that’s generally not the look you’re trying to achieve. Balancing out the use of vintage pots with other containers is one way around this. Wood makes an excellent material for containers. Old wooden fruit crates are one of my favourites. I line them with old compost bags to stop any compost falling out and it also helps the wood to last as long as possible. They’re a particular good depth for tomato plants with some basil planted around them. 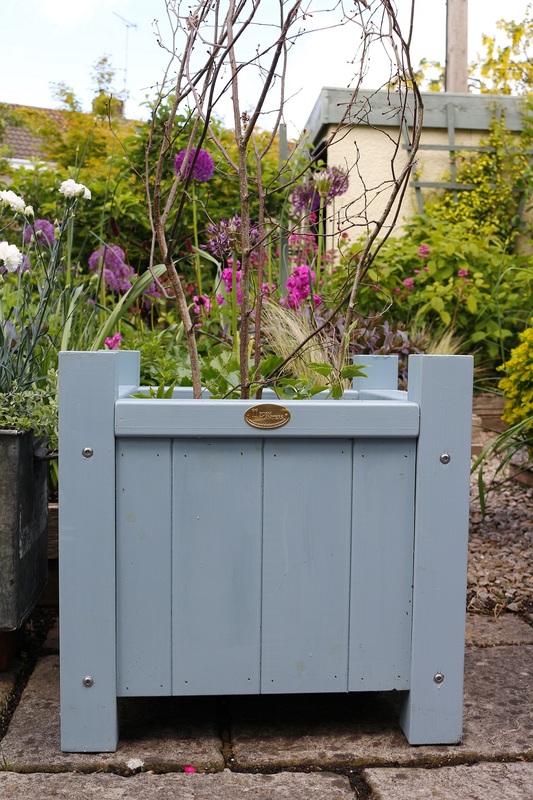 Then there are the more substantial wooden planters like the one from the Posh Shed Company. Containers like this make a statement in a garden and can be a focal point in themselves. Choosing containers in colours that blend with your garden and planting scheme is another way of tying a garden together. 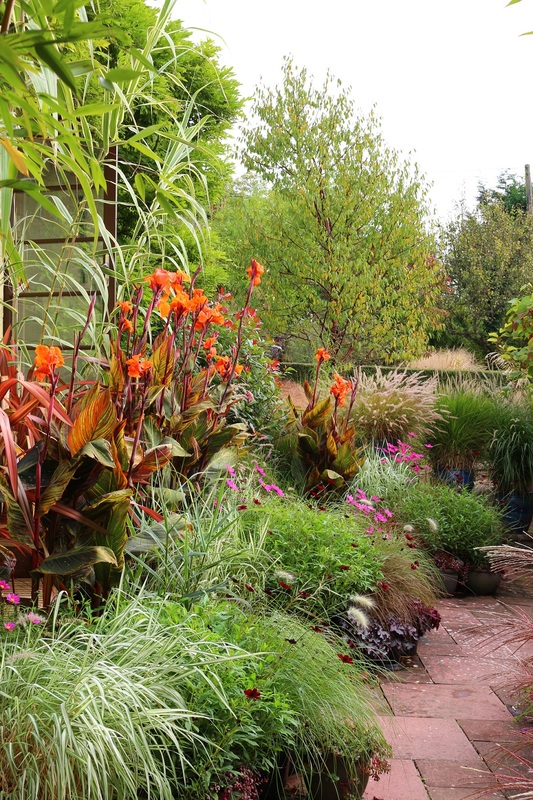 You don’t need to spend a small fortune on having a garden specially designed. Simply using containers in complimentary colours to your house, garden and planting combinations will give your garden a harmonious feel. For more details about wooden planters from The Posh Shed Company. 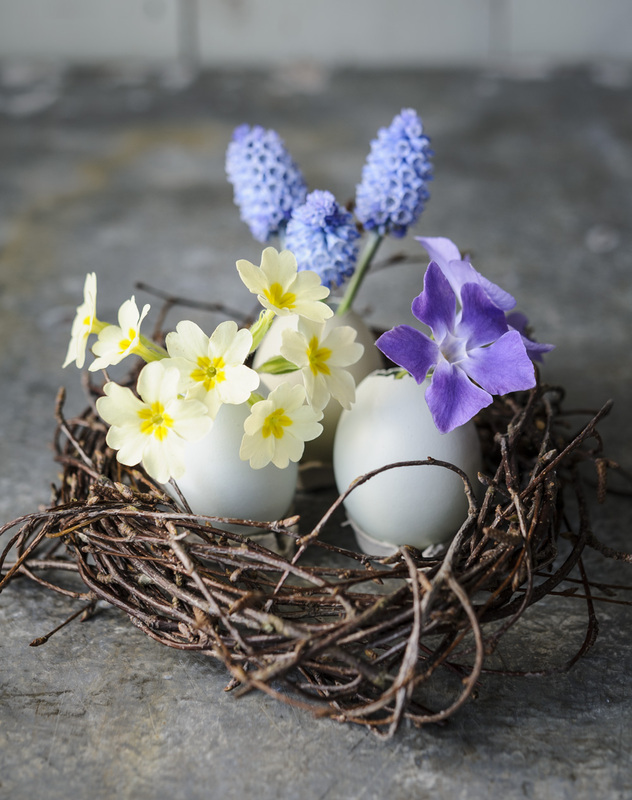 Some of my favourite places for vintage finds – Shepton Mallett and Malvern Flea Markets, Toby Buckland’s Garden Festivals, The Foodie Bugle, Mabel and Rose. The sheer amount of plant loveliness on display at the Chelsea Flower Show can be quite overwhelming. It’s also difficult to do the whole showground in just one day, so it can be hard to know where to start. This year my plan was to go with a theme in mind in the hope that this would give me some focus, particularly in the Great Pavilion. 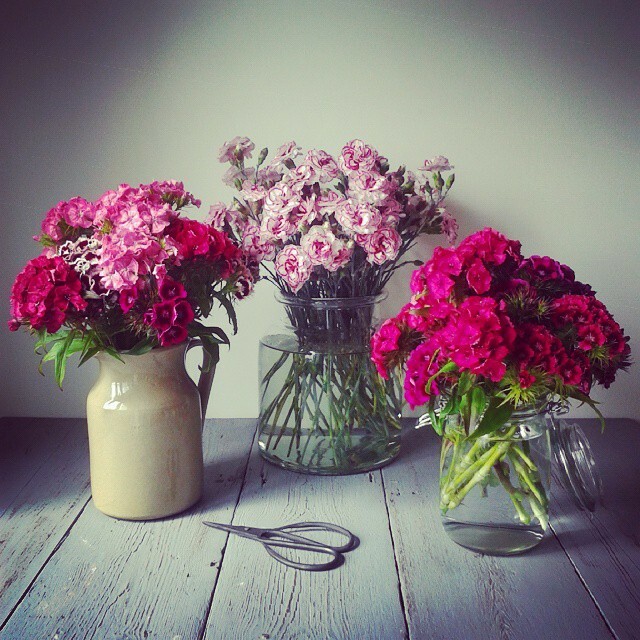 Regular readers will know I’m a bit obsessed by home-grown cut flowers, whether they’re from my own cut flower patch or purchased from the growing number of small-scale flower farmers here in the UK. 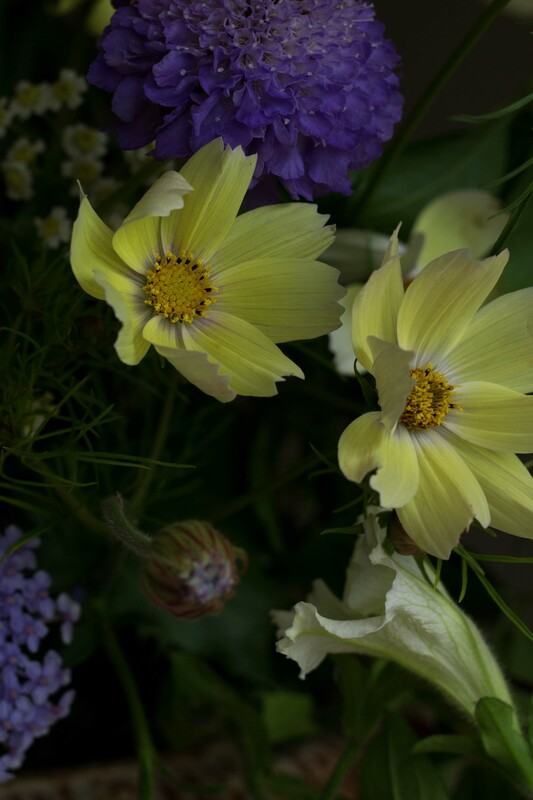 I’m always looking for new blooms that would be fabulous in a vase, or colour combinations that I could tailor my seed sowing plans towards. So what better place to start when looking for inspiration to take away with me from this year’s show? 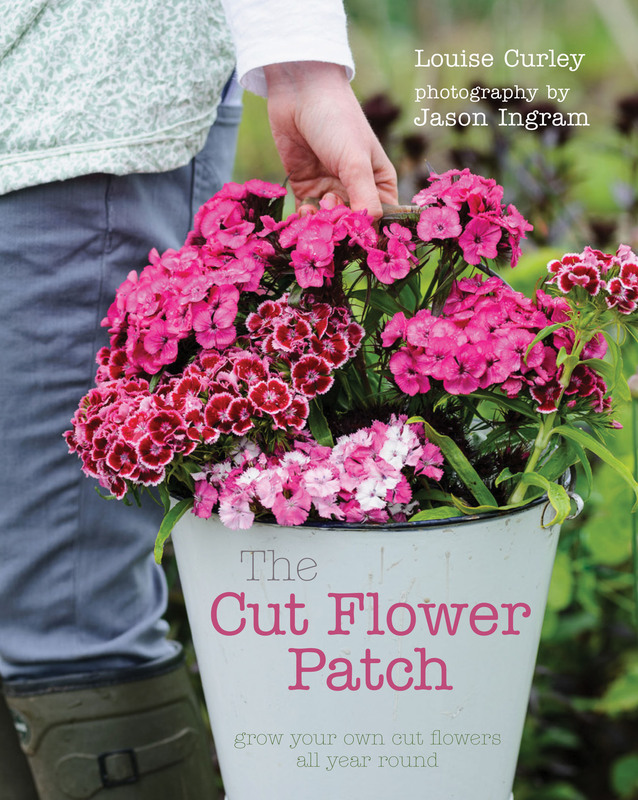 It seems that the message about British cut flowers finally seems to be getting out there. 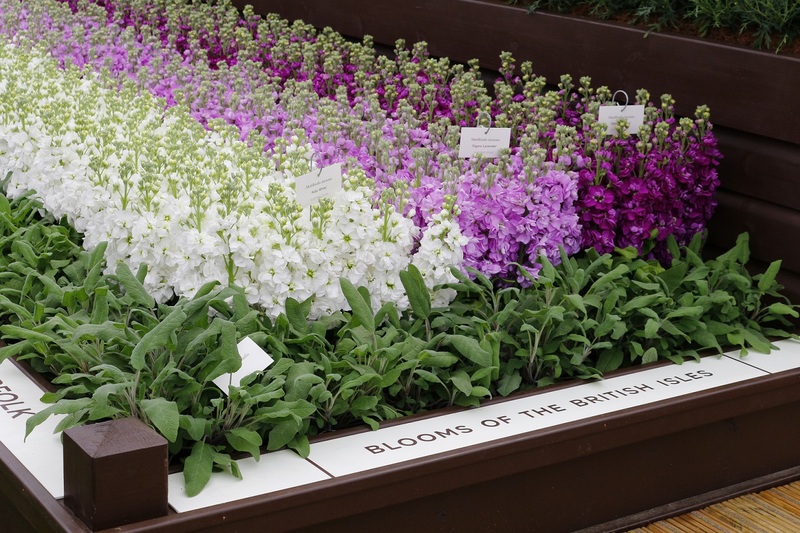 Marks and Spencer chose to celebrate their suppliers of home-grown flowers with a ‘Blooms of the British Isles’ stand in the Great Pavilion. The exhibit was designed as a quadrant, divided into blocks of flowers grown in the UK to supply M&S. The centre featured a tiered stand filled with flowers which was designed to represent a huge bouquet and the different layers of blooms. Flowers included scented stocks, peonies, lady’s mantle, alliums and tulips, along with pots of moth orchids, roses and chrysanthemums. 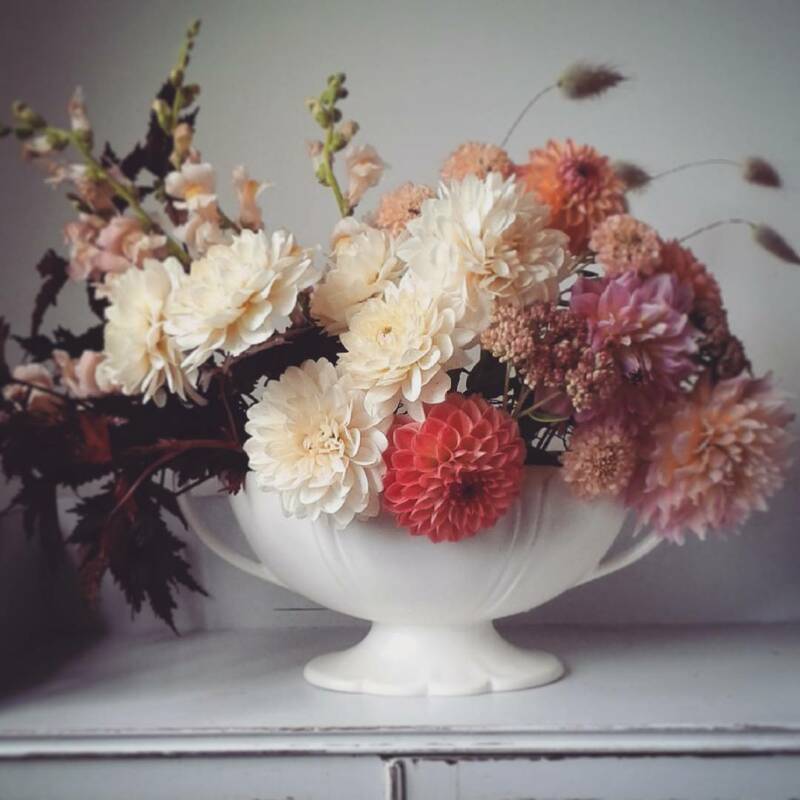 These container-grown flowers didn’t fill me with joy, they just seem to lack the movement, delicacy and impact of larger cut flowers. The element that really did appeal to me though was the boundary to the display. This was a series of blocks of individual varieties which incorporated details of where the flowers were grown – alliums in Lincolnshire, peonies in Hertfordshire and scented stocks in Norfolk. 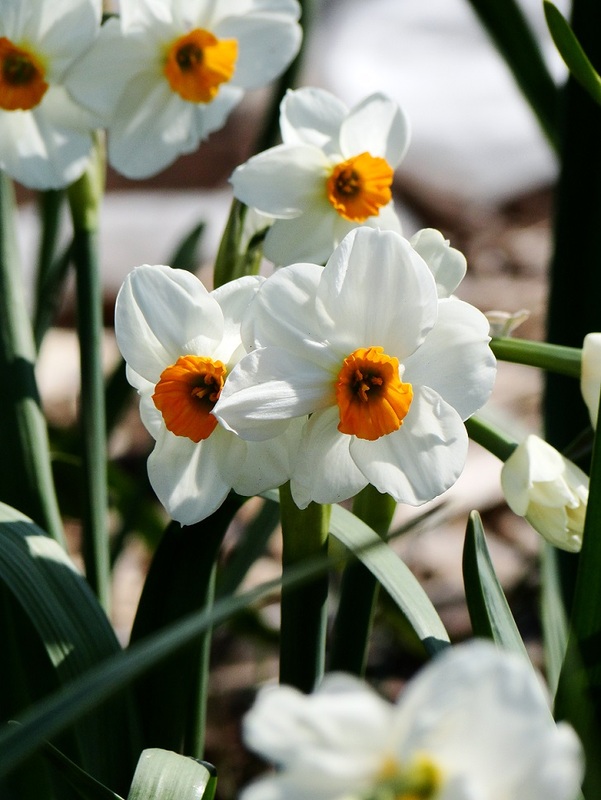 It also conveyed the sense of them being grown as a crop rather than for ornamental purposes. 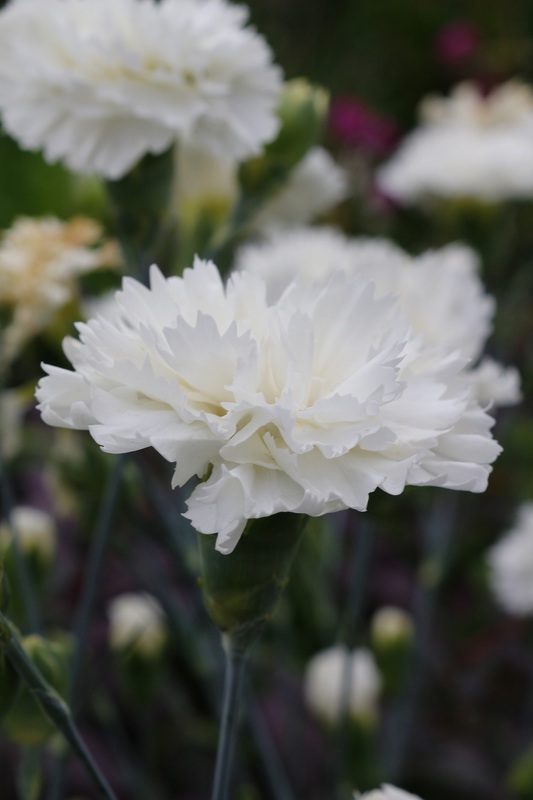 The leaflet which accompanied the stand included a ‘meet the growers’ section with fab photos of the flower growers and snippets of info such as how Steve Ward of Bury Lane Peonies has 23 acres devoted to growing 140,000 peonies to meet the growing demand for these stunning blooms. The flower installation by Rebecca Louise Law which hung above the heads of people as they used the walkway which links Main Avenue to the rest of the showground was such a clever idea, particularly for an area which might otherwise be neglected. 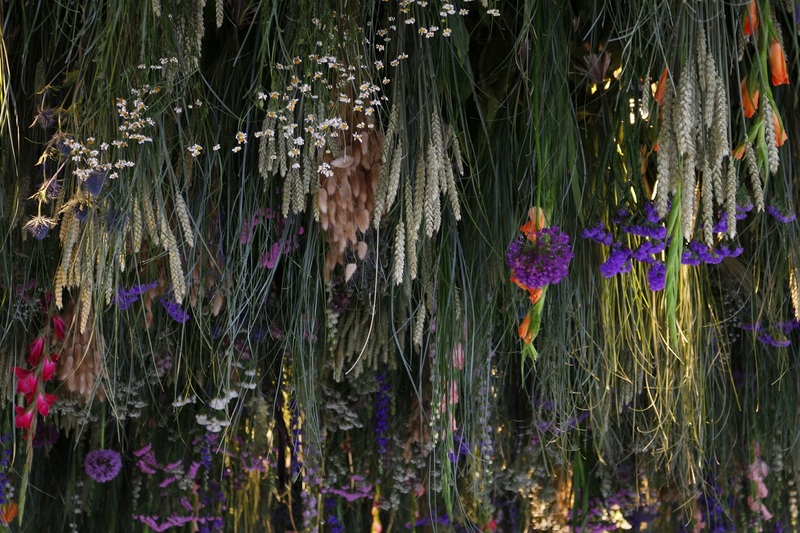 She’d used a mixture of dried flowers and fresh, tied in bunches, which were then suspended from the roof. Unfortunately on Monday the walkway was like a huge wind tunnel which meant walking through it was like the tornado scene from the Wizard of Oz. Combine the wind with low light levels and it made it tricky to get a good photograph. 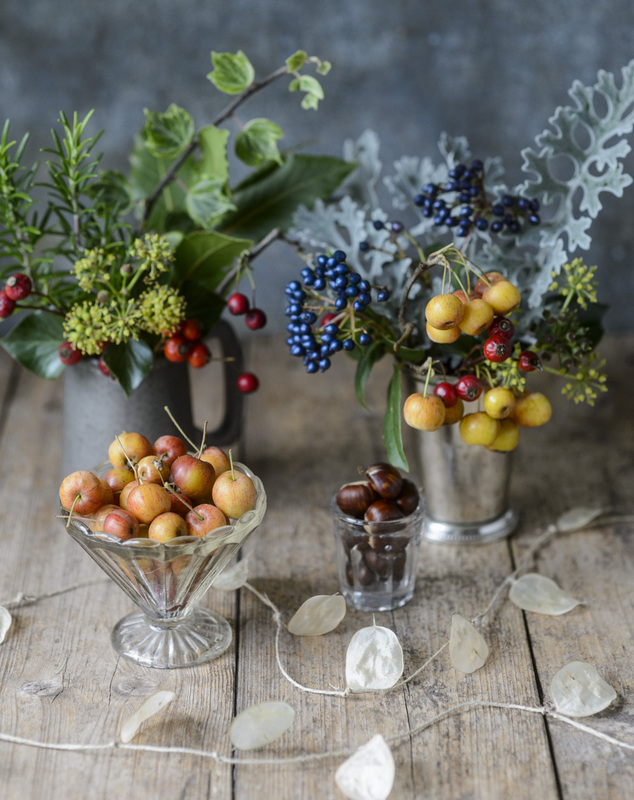 I’m a huge fan of dried flowers, so I’ve come away with a few ideas for new ways to use them around my home. 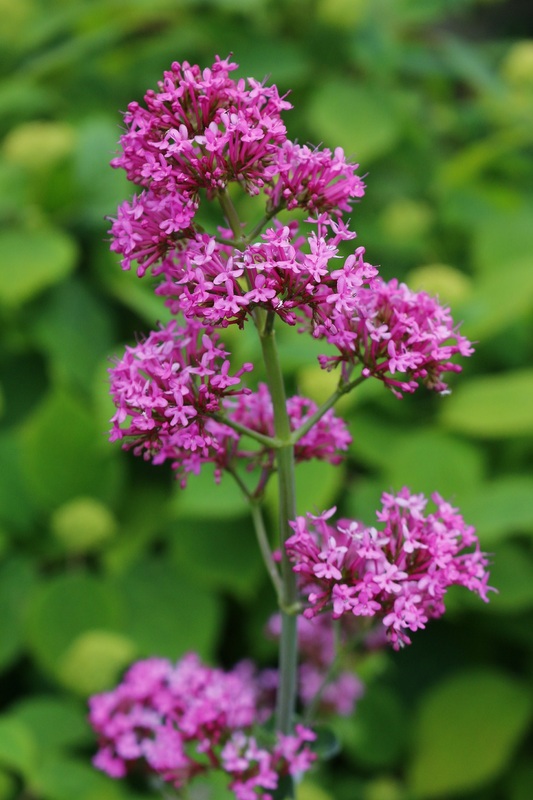 I’m always looking for new flowers and foliage which could find a way on to my cutting patch. Verbascums and geums were the two most popular flowers on the show gardens this year. I think Verbascum ‘Merlin’, used on both Matthew Wilson’s Royal Bank of Canada Garden and Chris Beardshaw’s Morgan Stanley Garden, was my favourite. 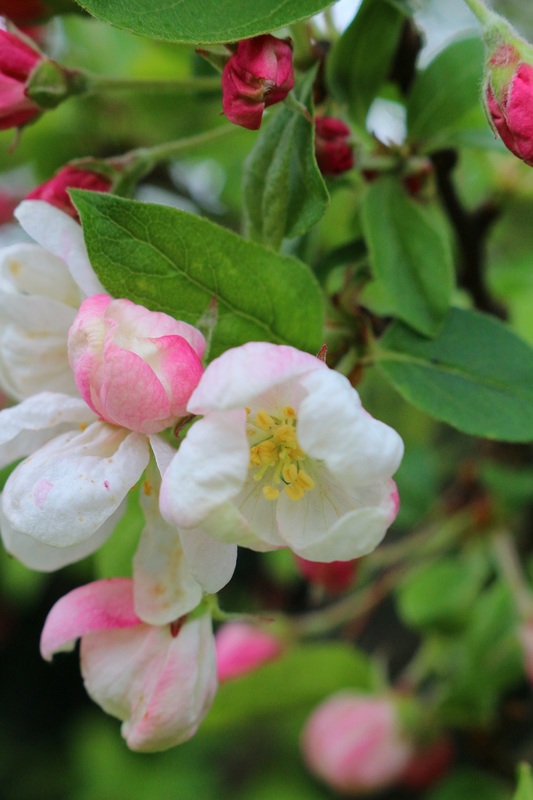 It’s just such a pretty colour, subtle with a slightly faded quality about it that makes me think of antique fabric. I haven’t grown verbascums at home before; they need well-drained soil which might mean winter wet would see them off in my garden, but I’d certainly love to give them a go. Cow parsley has become a bit of a planting cliché at Chelsea in recent years. This part of London has done a passable impression of a spring hedgerow for a week every May for the last couple of years. 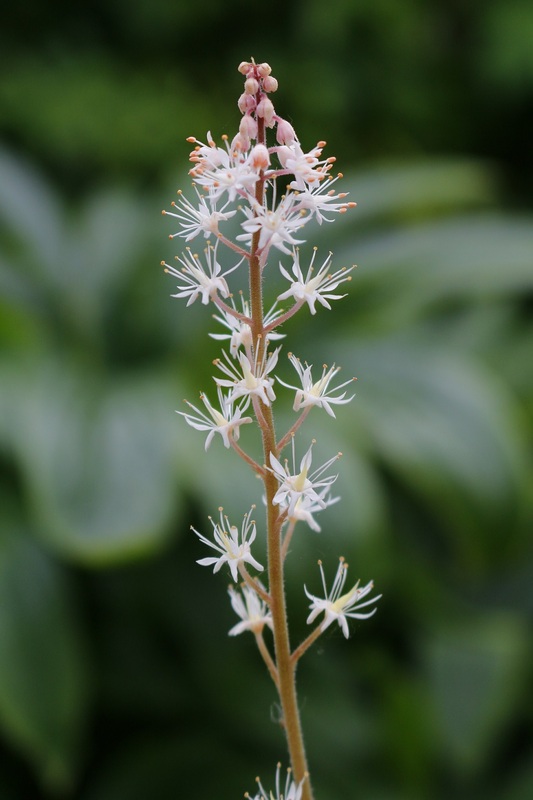 It’s common for one plant to prove popular with designers year after year – plants which perform reliably each May regardless of the vagaries of the British weather are bound to be favoured by plant nurseries and designers. But even die-hard cow parsley lovers were starting to get a bit sick of seeing it. I’m one of those fans of naturalistic plants and delicate hedgerow frothiness, but I was pleased to see that there was much less of it around this year, although designers haven’t been able to let go of it completely. 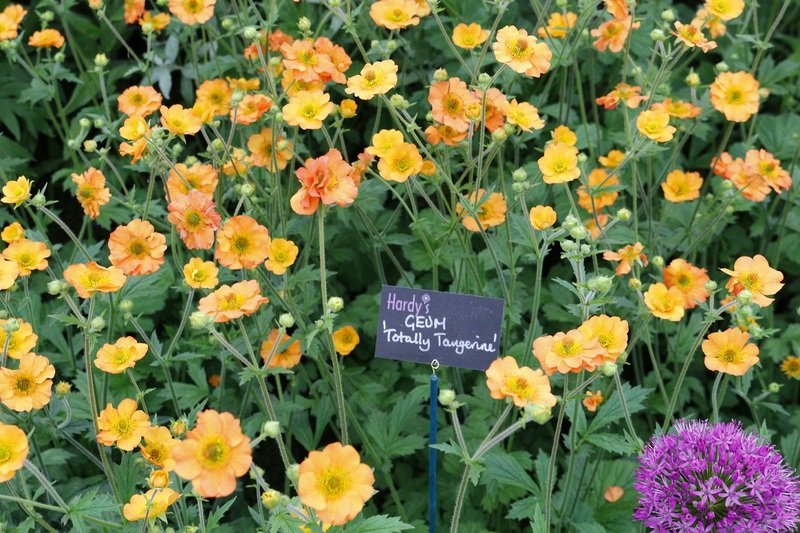 This time it was the turn of Geum ‘Totally Tangerine’ to be totally everywhere. 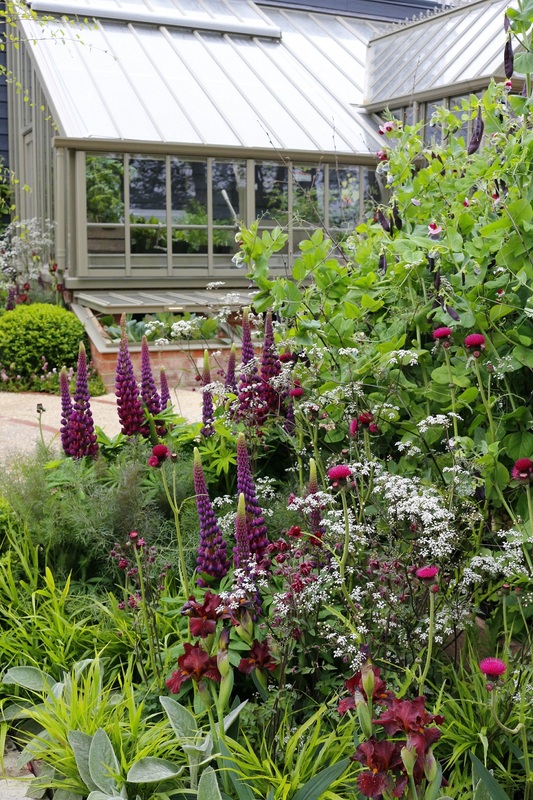 Launched in 2005 by Hardy’s Cottage Plants there’s talk of the shelves being cleared of it due to its Chelsea popularity this year. 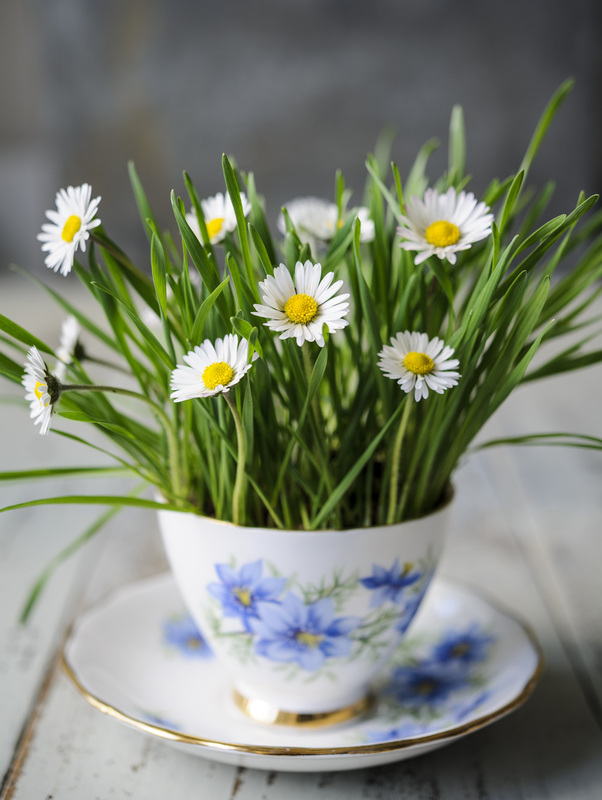 As a cut flower it apparently has a lot going for it – it’ll bloom throughout the summer and the long stems are perfect for the vase. 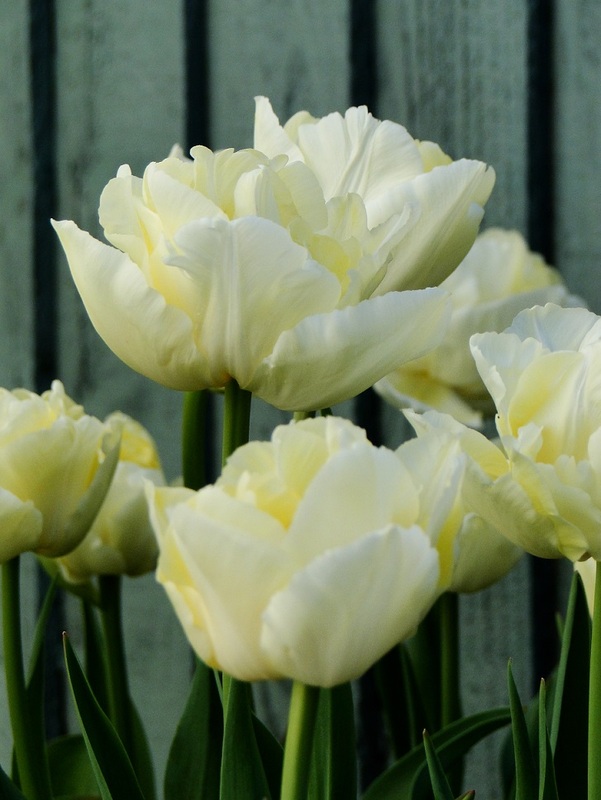 I think it’s such a cheerful colour and I can see it working well with late-flowering tulips and wallflowers to make some gorgeous late spring/early summer arrangements and later on in the season with dahlias. The Great Pavilion is the place to look out for new introductions and I spotted this snapdragon on the Hardy’s stand. 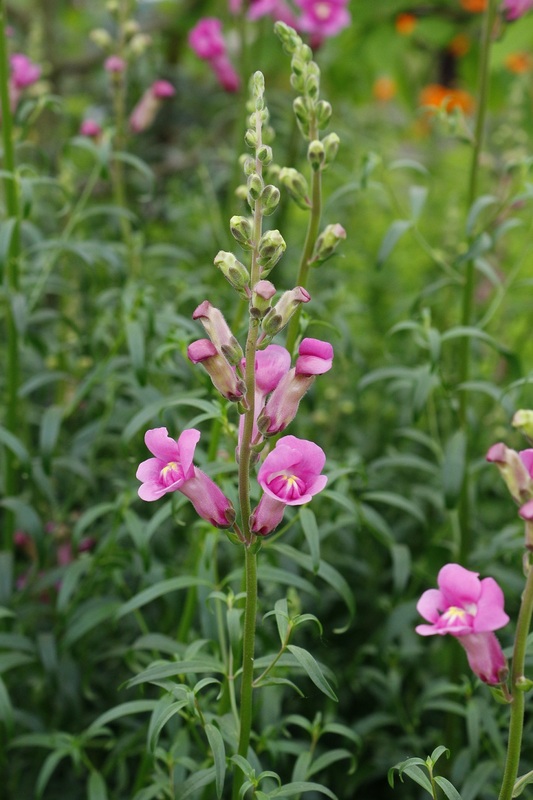 Antirrhinum ‘Pretty in Pink’ is the first truly perennial form, it blooms all summer long and has good resistance to the fungal disease rust to which snapdragons are so prone. It’s another which won’t like sitting in wet soils, so it would be worth providing extra drainage and giving it some protection in winter. I love green flowers. They’re so unusual and striking and work well in a vase as they can provide the focal point or be a foil for other more colourful blooms. 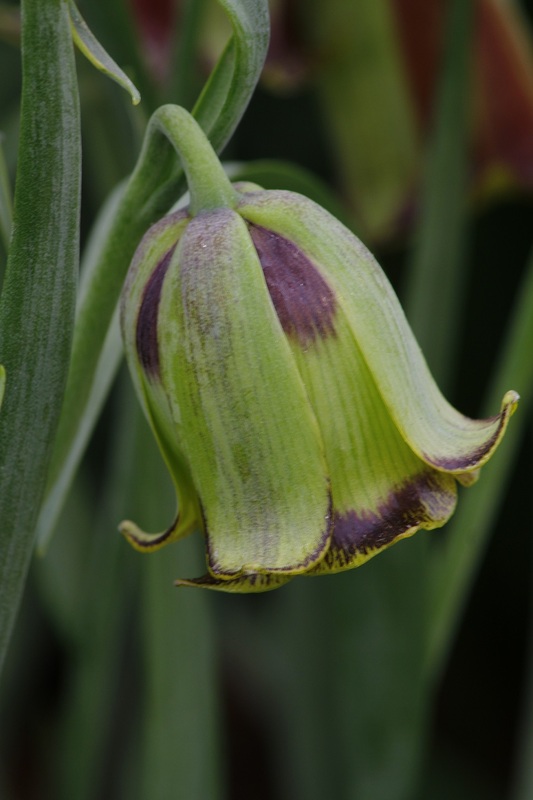 So what about this Fritillaria acmopetala on the Avon Bulbs stand? 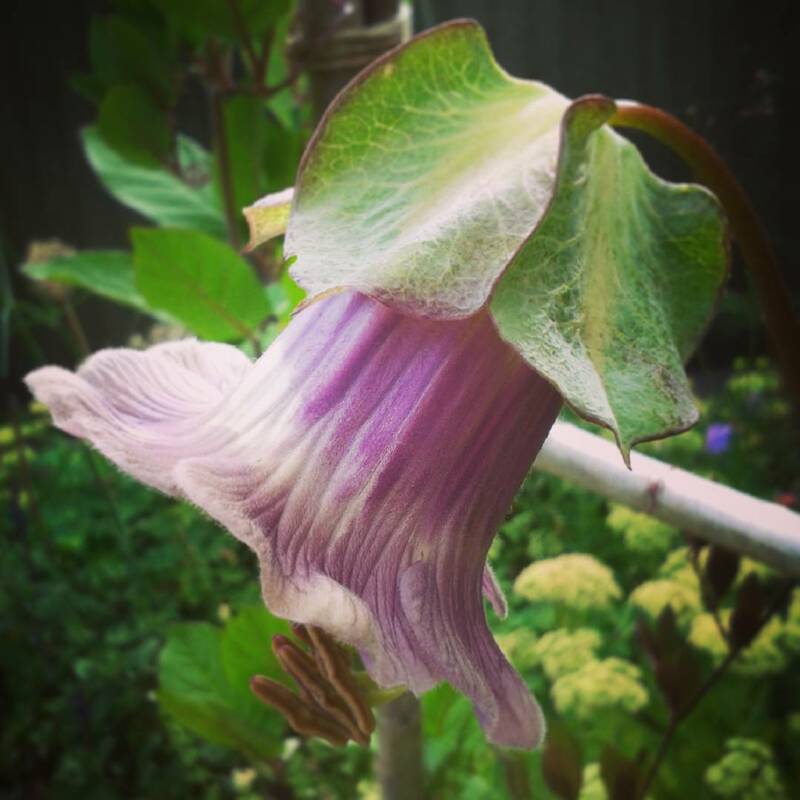 I love the little turn up at the base of the bell-shaped flowers – it reminds me of a bob hair cut where the ends have been flicked outwards. 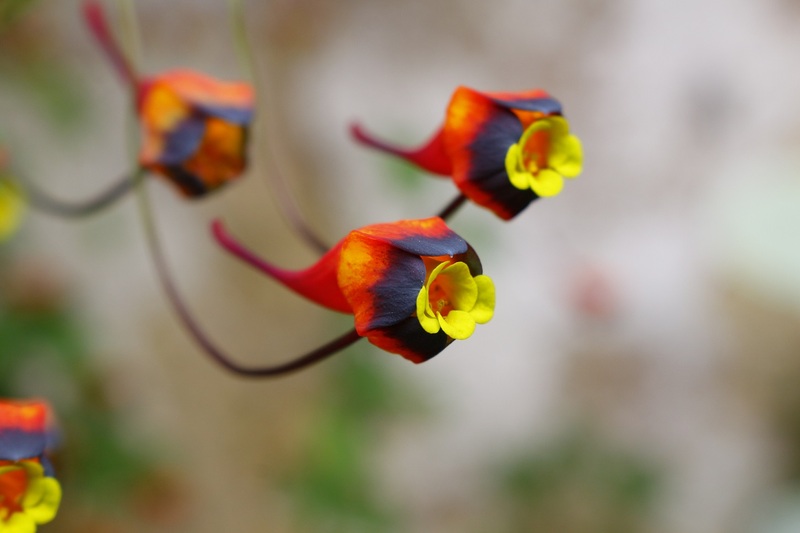 The delicate veining, the hints of gold and flashes of maroon all make it a very intriguing flower. This wouldn’t be a plant to provide bunches of flowers but I can imagine just a couple of stems in a simple vase would make such a pretty display. Orange was the colour of Chelsea 2015. 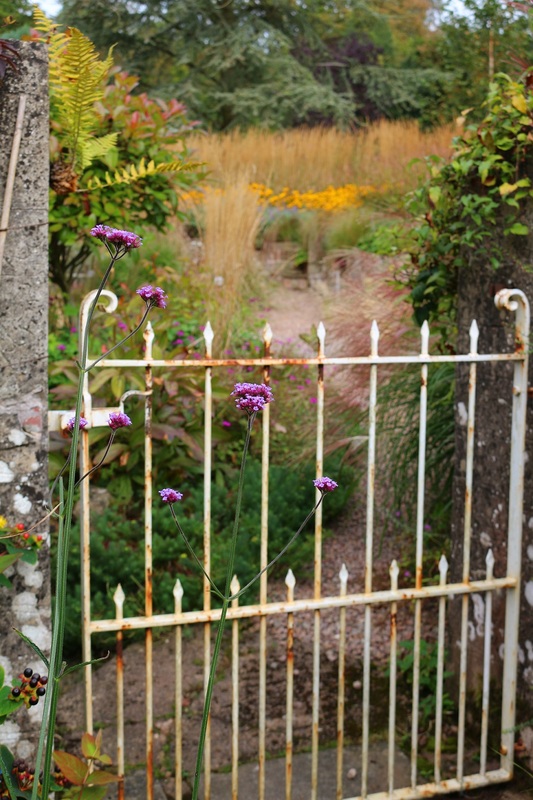 Rust-coloured metalwork featured in several gardens from Chris Beardshaw’s with its sculpture and the rusty panels of Adam Frost’s Homebase Garden, to the rusted tin can sculptures on Sean Murray’s garden. 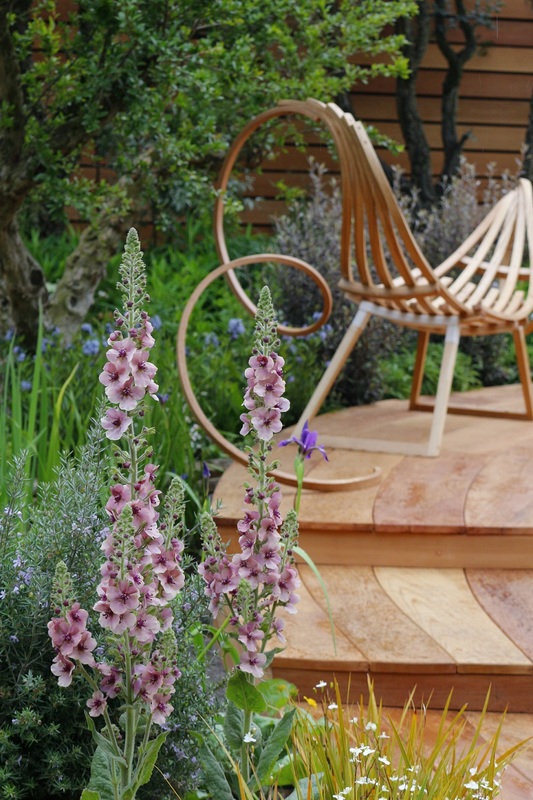 Tones of rust were found in the planting too particularly on the Pure Land Foundation Fresh Garden with Iris germanica ‘Kent Pride’ and the newly-introduced Foxglove Illumination Series ‘Apricot’. 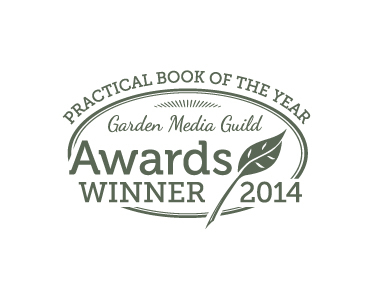 Elsewhere there were the striking orange Californian poppies and Libertia peregrinans on Matthew Wilson’s garden. And the lighter, almost apricot colour of the Geum ‘Totally Tangerine’ (it looks more apricot than tangerine to me) added a zing across the showground. 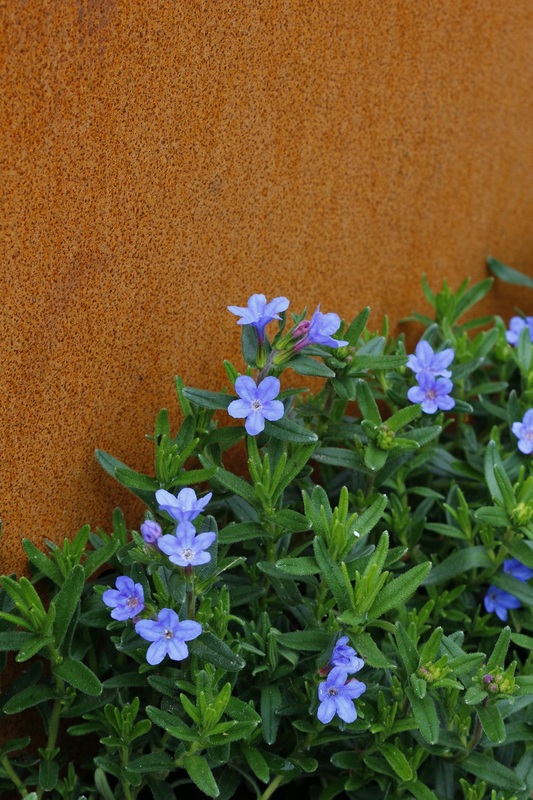 As for how to use orange, well how about this combination which packs a punch, the blue flowers of lithodora against a rust-coloured container I spotted on one of the trade stands? 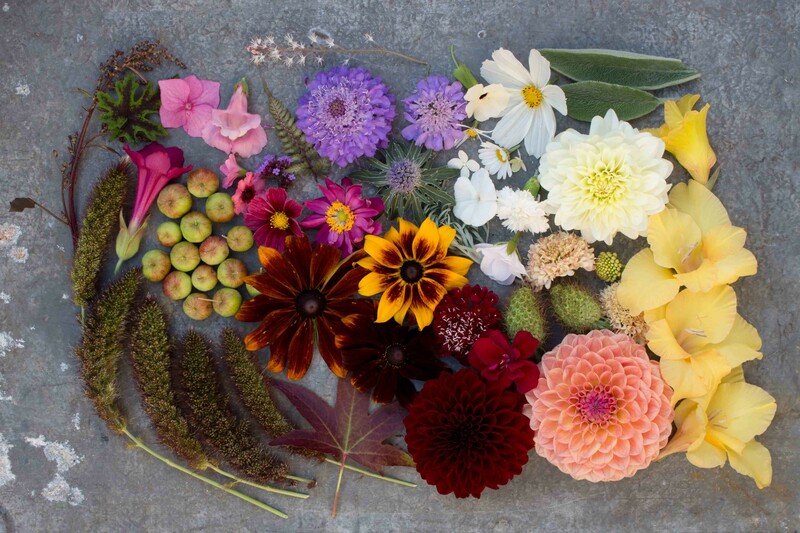 It’s a mix of colours I hope I can replicate in a vase this summer using Salvia patens and a variety of orangey dahlias, strawflowers and pot marigolds. Dark purples and rich plums were in evidence too. 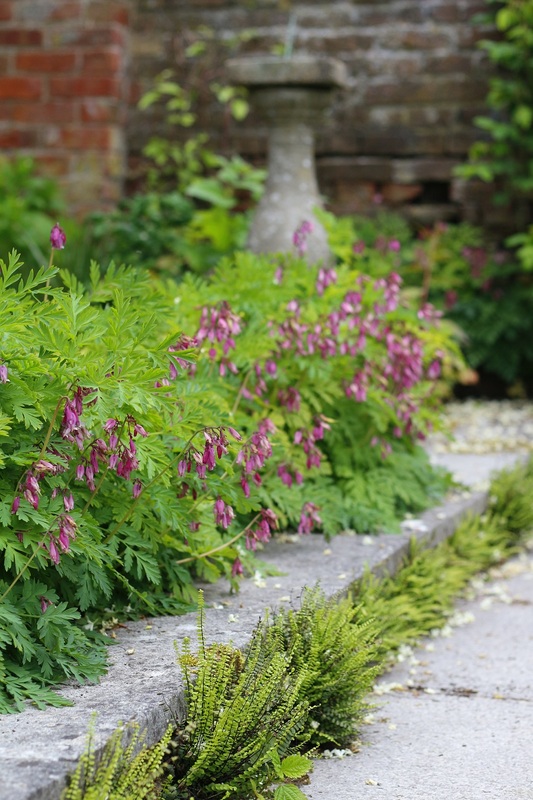 Lupins seem to be making a comeback. I’ve come around to many ‘old-fashioned’ plants in recent years from gladioli to chrysanthemums but I’m still not convinced by these rocket-shaped blooms. I do love the colour combination of this planting on the Alitex greenhouse stand though. 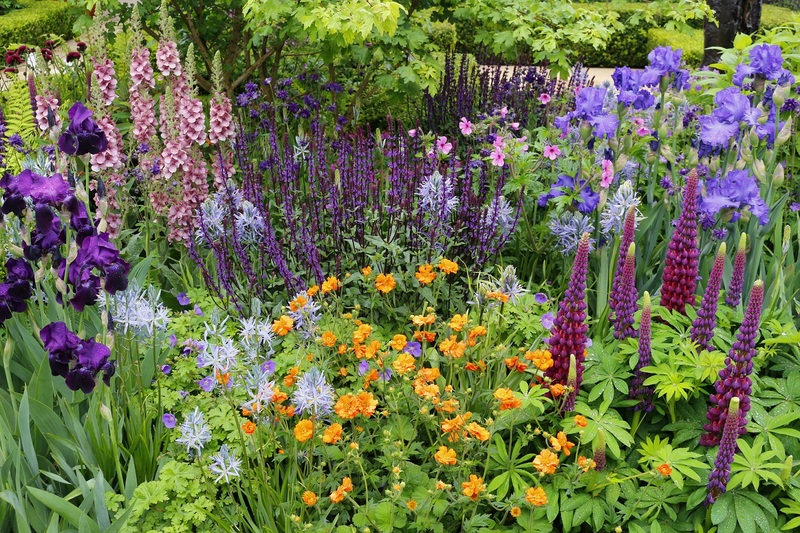 And the clashing of dark colours with bright on Chris Beardshaw’s garden with purple irises and salivas placed next to orange geums is truly sumptuous. 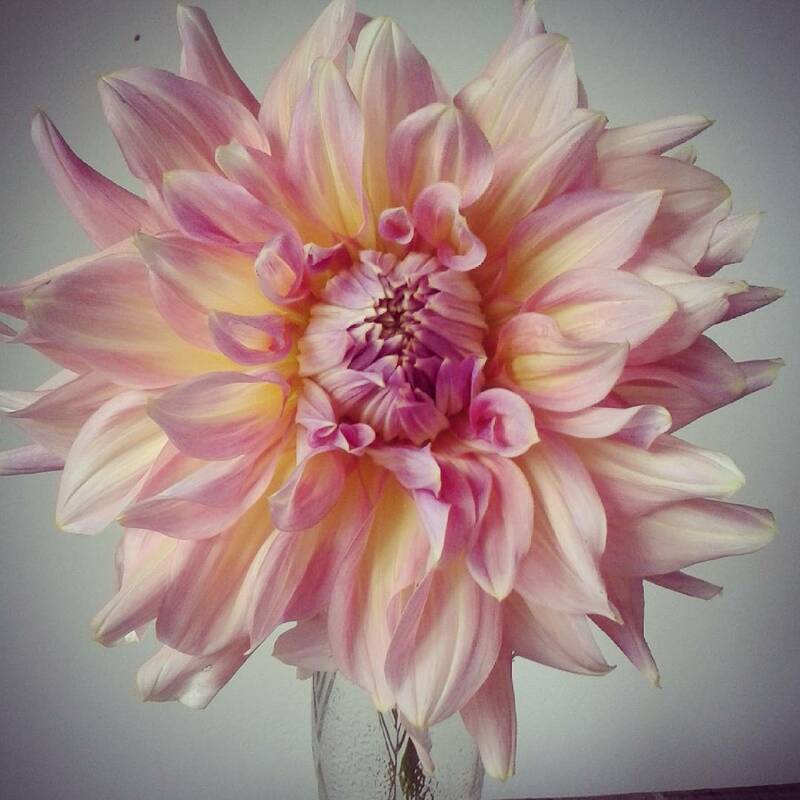 Using colours like this can be tricky to pull off, whether it’s in the garden or in a floral arrangement. 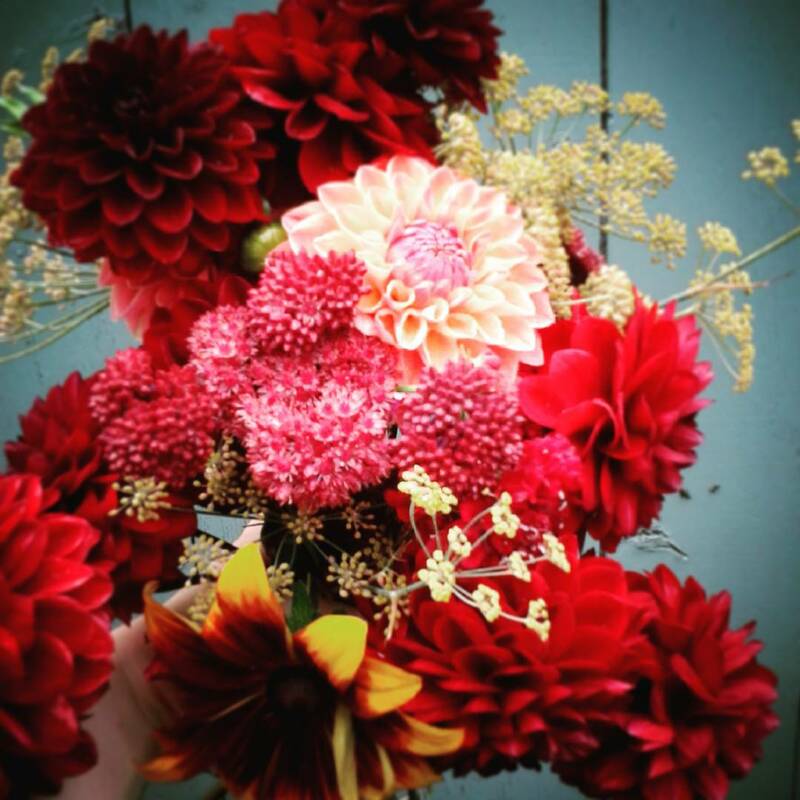 We’ve all seen bouquets of gaudily-coloured flowers shoved together which really don’t work. 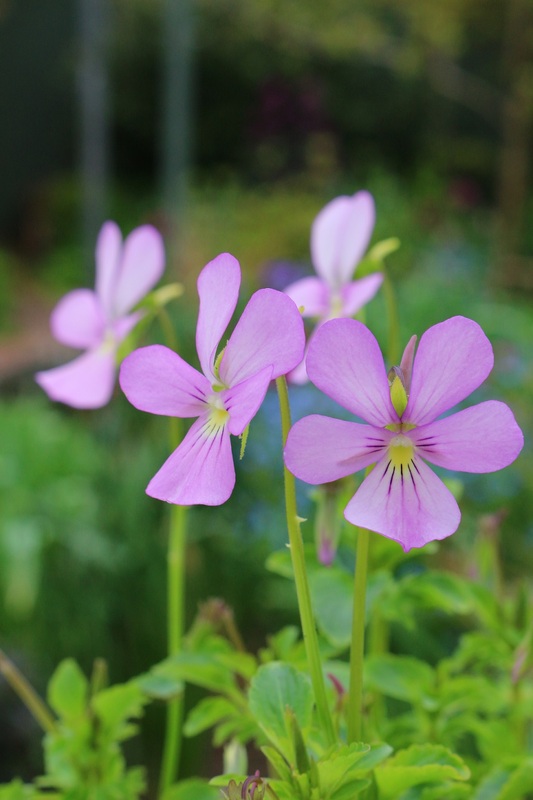 Taking ideas from the masters of planting like Chris Beardshaw and applying that to the flowers you grow and use for cutting is one way of dipping your foot into the water. 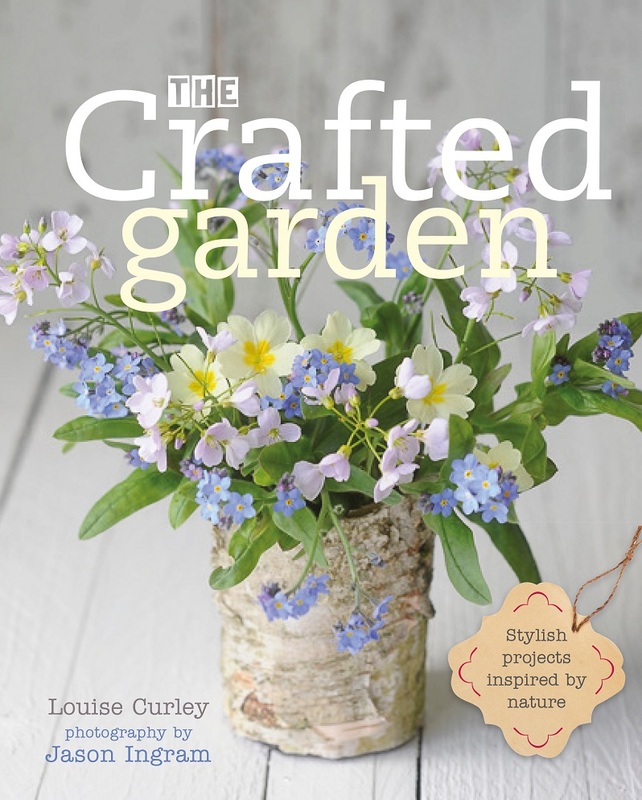 So that’s plenty of ideas and images to inspire me this winter as I come up with my cut flower plans for next summer. 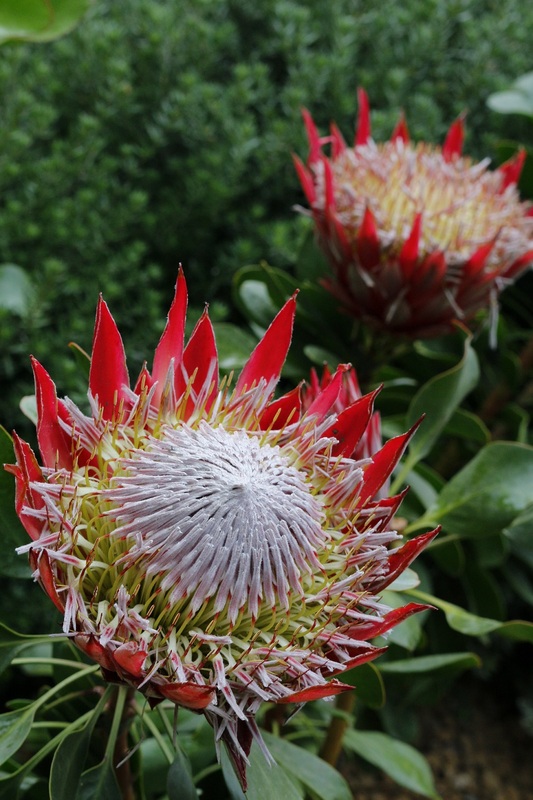 I spent yesterday immersed in plants, from orchids and exotic proteas to classic English roses and native elm trees. 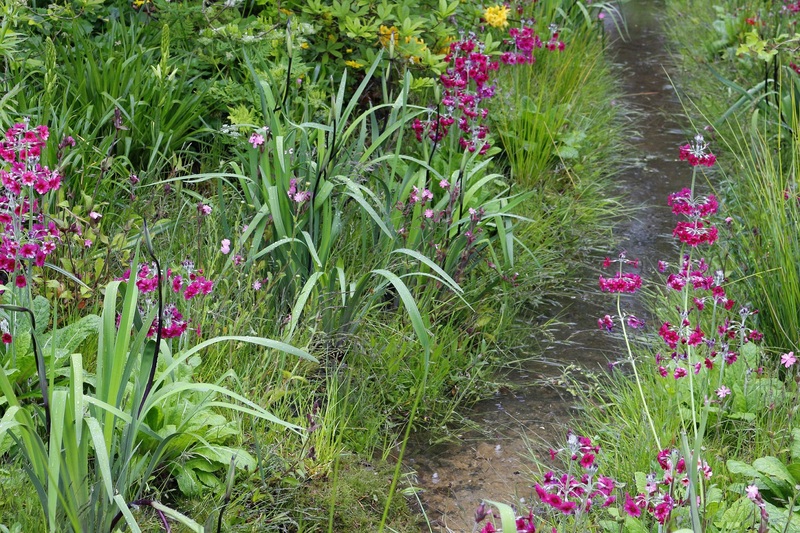 There were gardens created by the best designers and plantspeople from Britain and beyond. One enormous marquee – the Great Pavilion – a temple to plant passion with nurseries from across the country. There were sculptures, greenhouses and all manner of garden-related bit and bobs. This was press day at RHS Chelsea Flower Show and it really doesn’t get much better than this for someone who loves plants. On a cold, grey morning in south-west London someone had clearly forgotten to mention to the weather that it was meant to be spring and, as if on cue, the spots of rain started to fall just as we entered the showground at 8am. Press Day is the day when suits, summery frocks and fabulous hats abound. Exhibitors, designers and sponsors want to look their best for the press calls, photos and, later in the day, the Queen and other members of the Royal Family. I had huge admiration for those ladies who had looked out of the window that morning and had disregarded the weather forecasts and thought ‘I’m wearing those heels and floaty dress regardless’. Then there were the rest of us in waterproofs huddled under umbrellas trying desperately to stay warm. Later on that morning Anneka Rice would enter the Great Pavilion looking like it was a summer’s day outside despite the fact that a deluge of rain was pounding the roof. I’ve always been somewhat in awe of women who manage to look glamorous in situations when I look bedraggled and windswept. I’m sure Anneka must have had lots of those heat pads strategically stitched into her dress, as I was wishing I’d worn a second pair of socks and some thermals at that point. I think she must win the award for smile of the day – like the ray of sunshine we were hoping would come from the sky at some point. Despite the weather the plants shone and looking back now through the photos you really can’t tell that it felt more like March than May. A testament to all the hard work that goes into creating these gardens and the nurturing of plants over the previous months and, of course, Wellyman’s lovely photos. I was giddy with excitement at the prospect of seeing Dan Pearson’s Chatsworth inspired garden and Jo Thompson’s design with its natural swimming pool. Seriously, I’m like a child before Christmas in the period before Chelsea. These two gardens, in particular, had caught my eye because they looked so different from the more typical Chelsea show garden. 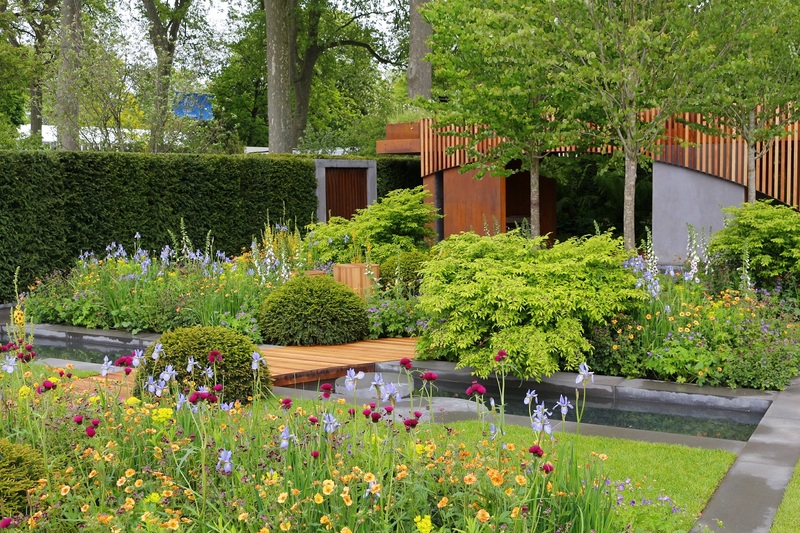 I often find some of the show gardens to be a little too similar – very masculine, blocky and sometimes a bit too slick for me, very suited to their sponsors and potential clients in the City but no spaces I can warm to. The space alongside Main Avenue is divide up into rectangles which need to be viewed from two sides, both elements which create restrictions on the designer from the start. 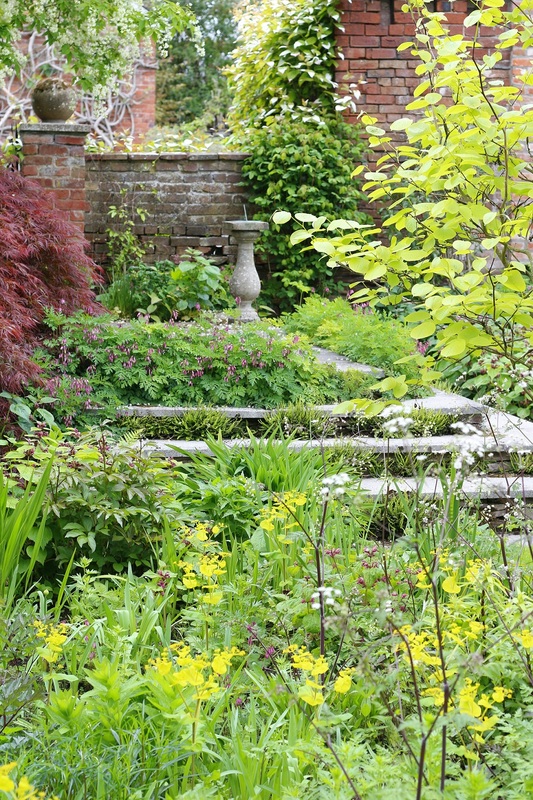 It could also be why some of the more successful and unusual gardens in recent years have been those off Main Avenue where they have a slightly different footprint. Dan Pearson’s garden inhabits the triangular-shaped spot at the end of Main Avenue. 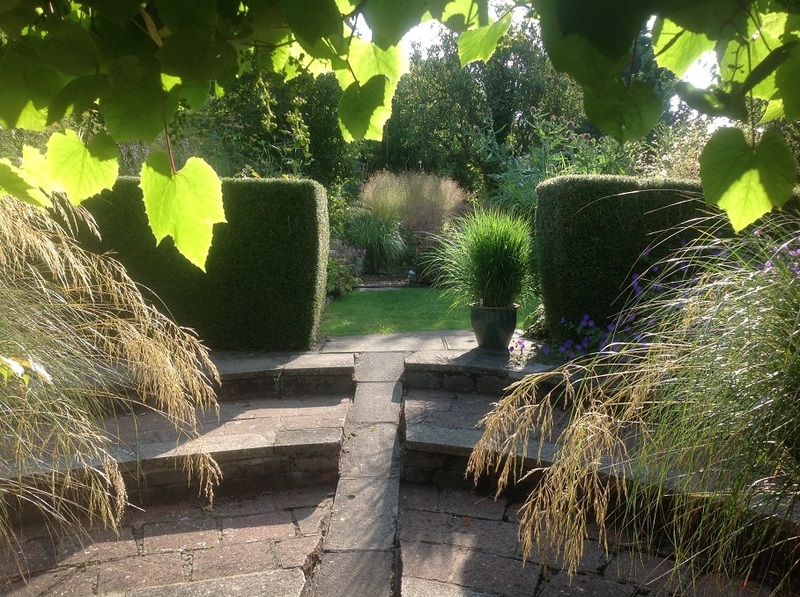 Viewed from all sides, unlike the other gardens, this can prove tricky, but Dan had requested this spot specifically. 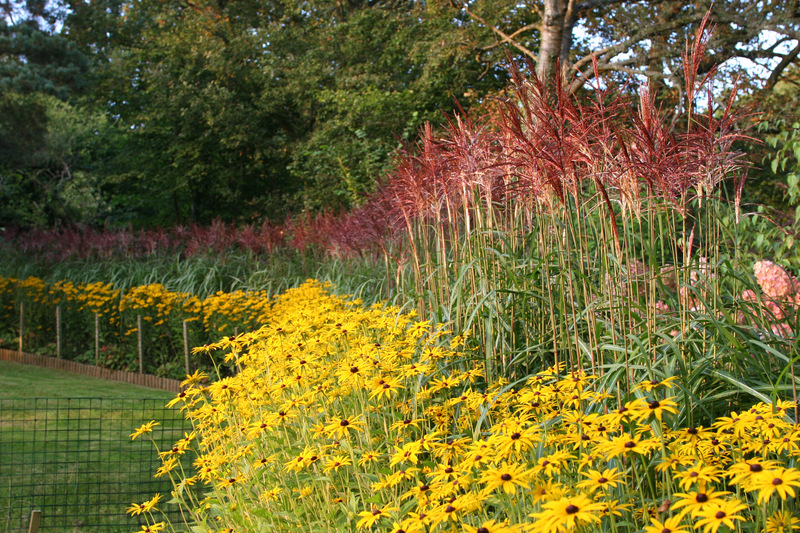 Dan Pearson is one of the UK’s most successful designers, but it has been over a decade since he last designed a garden at the show. 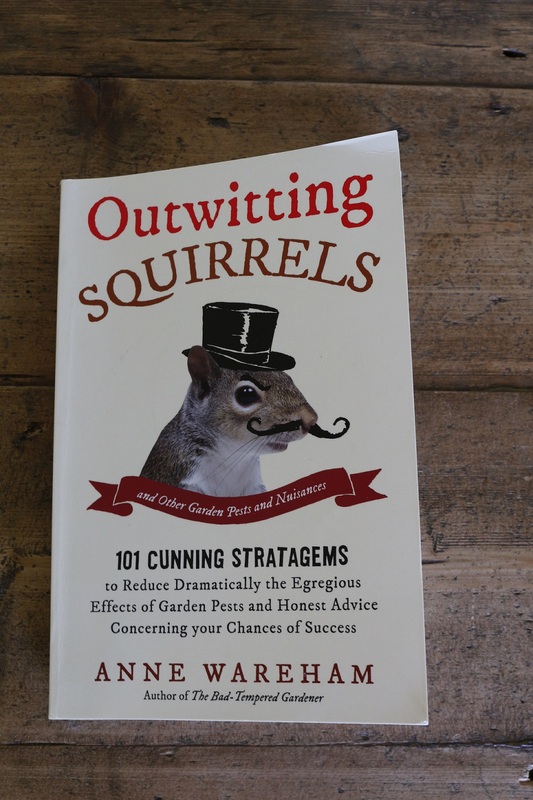 His return has been much-anticipated by fans of his naturalistic planting and take on garden design. His garden this year for Laurent Perrier has been based around the landscape and gardens of Chatsworth House in Derbyshire. Enormous boulders chosen from the estate perched, some of them seemingly precariously, in the space. Around these stones the garden trod the boundary between wild and cultivated. 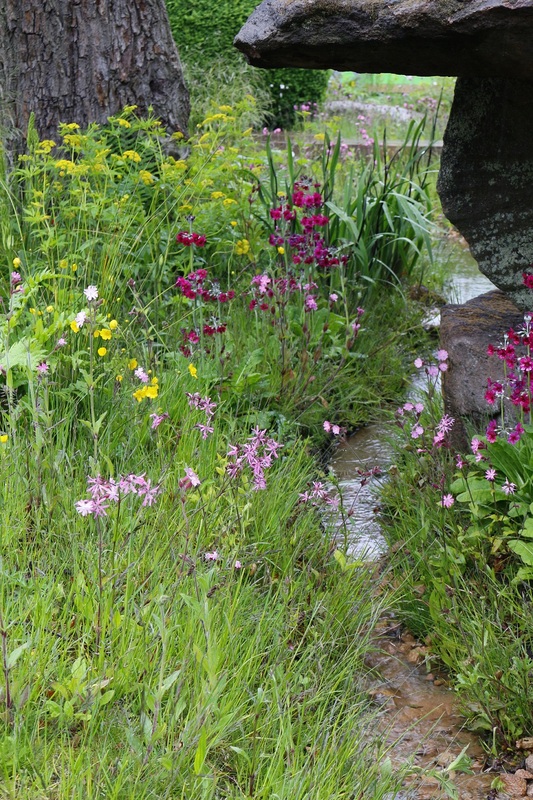 Water meandered through the garden inspired by the trout stream at Chatsworth. The attention to detail was incredible. Honestly I’ve never seen anything like it. My eye was drawn initially to a patch of grasses with red campions and leaf litter mixed in amongst it. Initial thoughts were this had to have been there before the build started and that it was perhaps a piece of the ground poking through from the pre-Chelsea build; it looked just like a patch of woodland glade or hedgerow verge. But, as I took in the rest of the garden, it became clear this had been created. And it really was fabulous. It wasn’t a wow garden in an obvious luscious planting, stunning hard landscaping way. 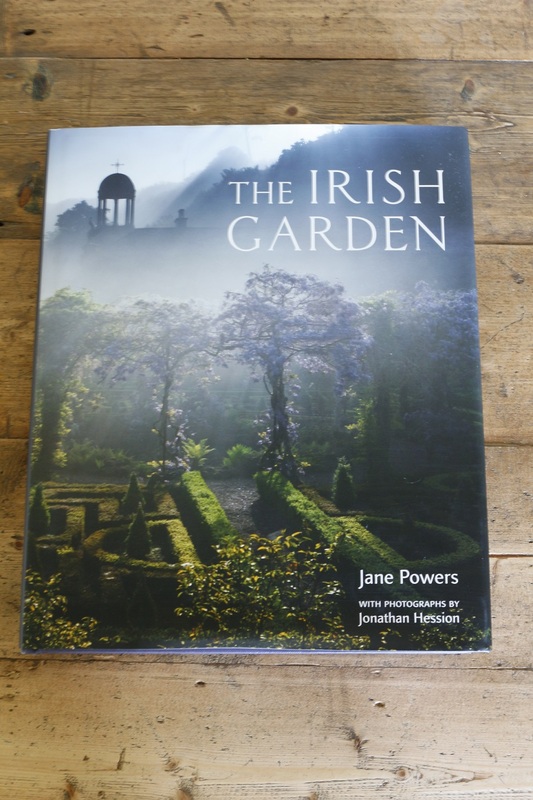 For me, both Jo Thompson’s and Matthew Wilson’s gardens wowed me straight away. Dan’s garden however was much more of a slow burner. 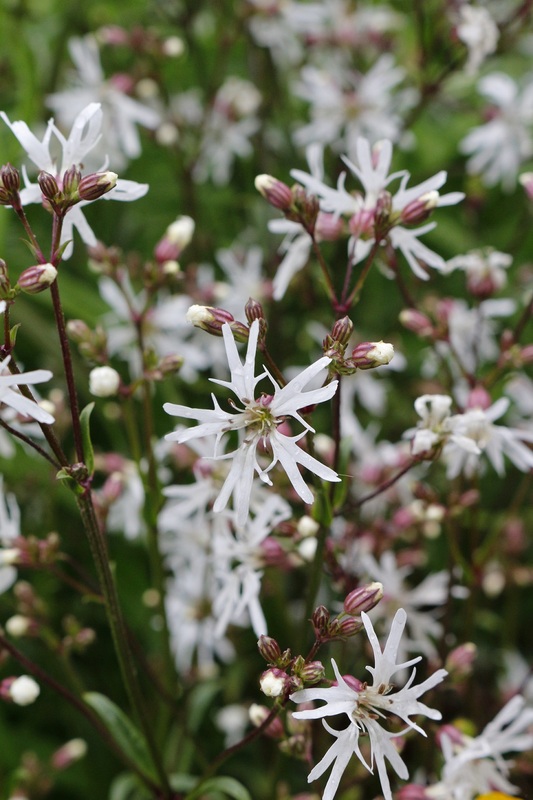 I just wanted to keep looking at all of the details then I’d spot something else, another plant like a delightful white ragged robin, or the way the plants mingled together so naturally. 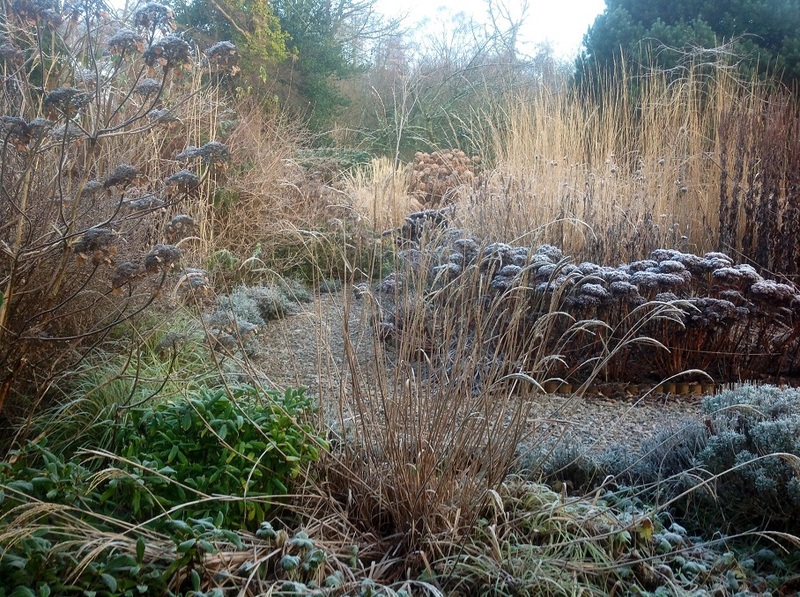 This is what made it so different from so many other gardens. From what I have read about Dan and from interviews I have seen with him this very much seemed like a garden which reflected its designer; quiet, thoughtful, unshowy. The judges loved it too, awarding it a gold medal and Best in Show. 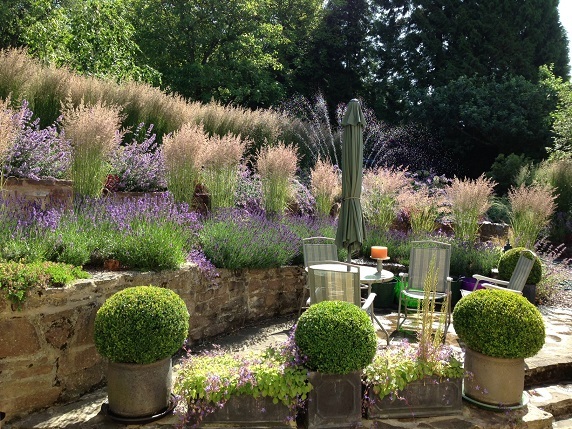 Jo Thompson’s Writer’s Retreat Garden for M&G Investments takes its inspiration from Vita Sackvile-West’s writing room at Sissinghurst in Kent. 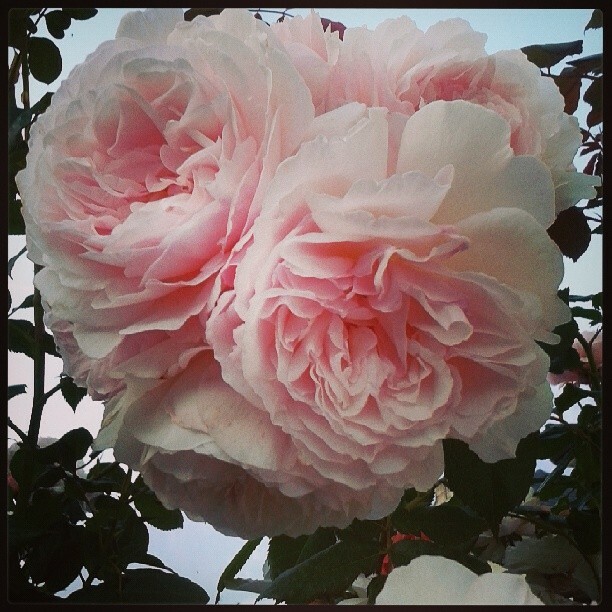 Jo and her all-female planting team have created a stunning, feminine garden with voluptuous plantings of roses and species I recognised from my cut flower patch, such as ammi, ridolfia and Gypsophila ‘Covent Garden’. 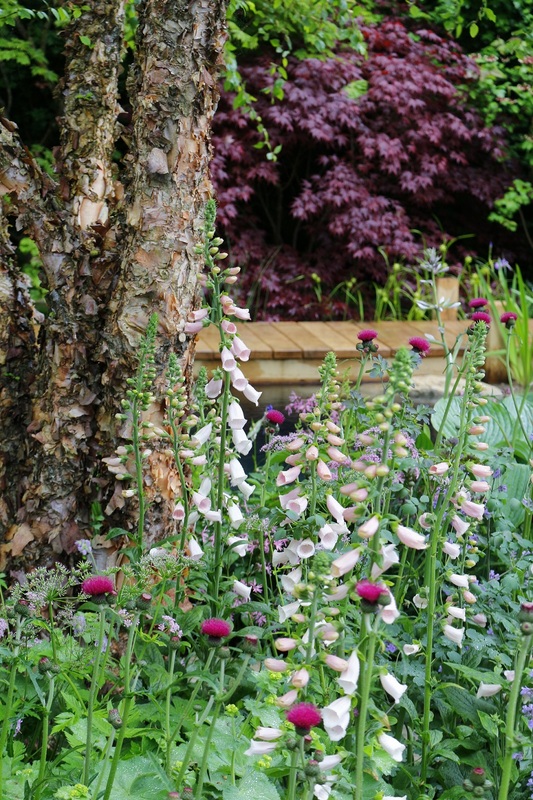 These mingle around the base of an impressive multi-stemmed Betula nigra with fabulously textural, peeling bark – the pinky-apricot tones cleverly reflected in the spires of foxglove ‘Sutton’s Apricot’. A richly planted backdrop of trees and shrubs creates a lush boundary and the natural swimming pool looked inviting. 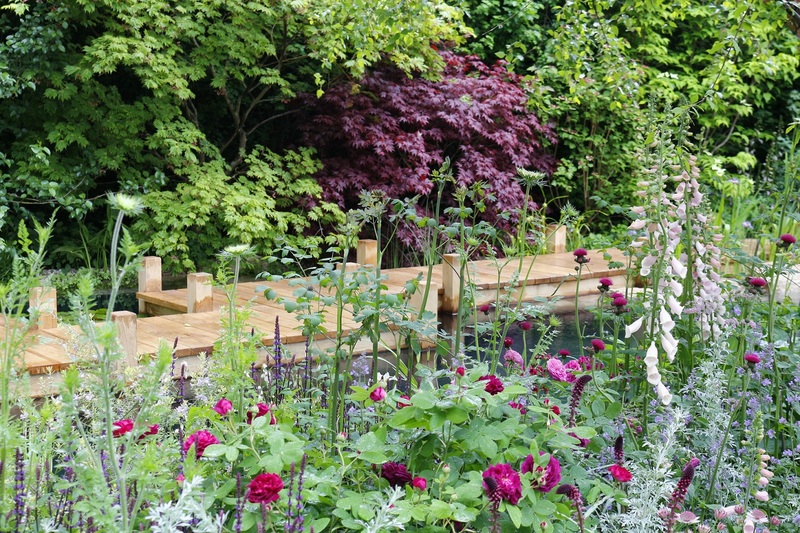 I think Jo’s garden is a real stunner and feel slightly disappointed for her and her team that the garden received silver-gilt and not gold, particularly as other gardens which didn’t appeal to me so much won gold. 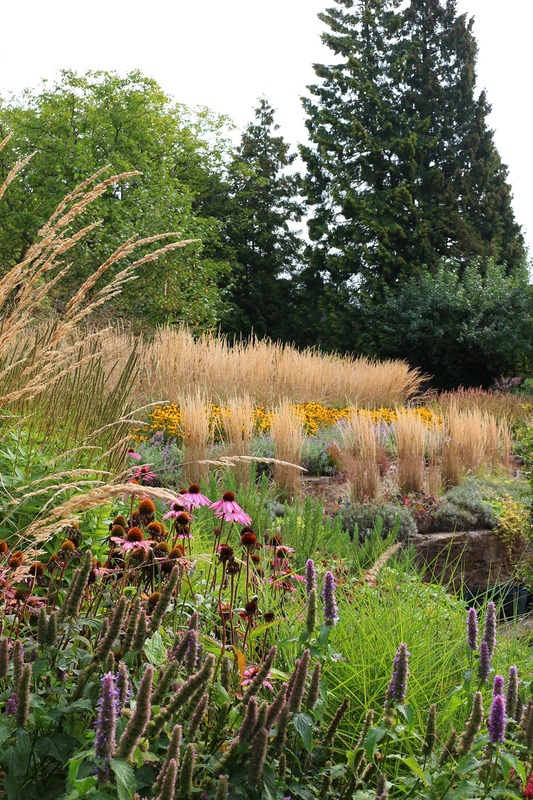 Matthew Wilson’s garden for the Royal Bank of Canada is inspired by Beth Chatto and his experience of previously managing the gardens at RHS Hyde Hall in Essex, where rainfall levels are similar to those in Beirut. Designed around the idea of a garden which uses water sustainably, the zero-irrigation ‘dry garden’ is packed with beautiful planting. Verbascum ‘Merlin’ was the first to catch my eye, followed by the shrubby Leptospermum scoparium ‘Red Damask’. Clumps of striking Californian poppies contrasted with the purple flower spikes of Salvia nemorosa ‘Mainacht’ I started to hanker after my own gravel garden. 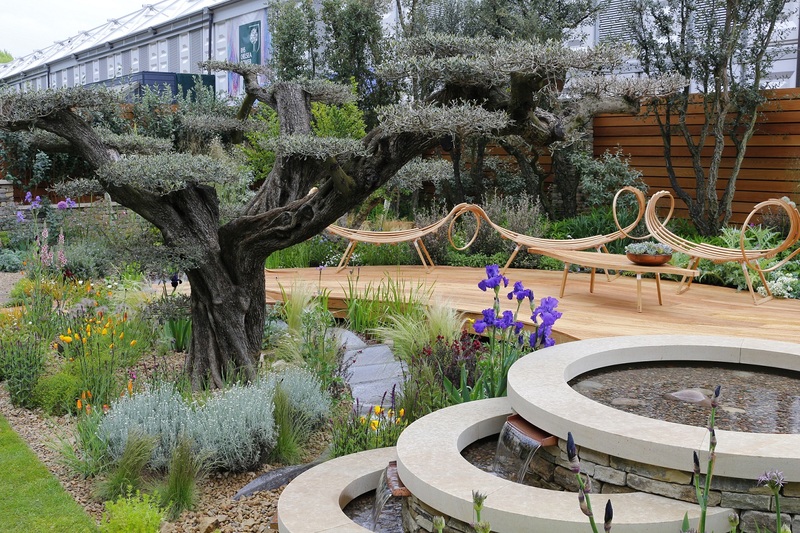 The dramatic 150-year old macro-bonsai olive tree is spectacular and the steamed ash benches with their sinuous lines crafted by Cornish designer Tom Raffield must surely win the award for the most stunning seats at Chelsea. One of my top three gardens this year. You have to be prepared for every eventuality when it comes to the British weather. Swirling winds, low light levels in the Great Pavilion and lashing rain in the morning made photography and note taking tricky particularly as I was often juggling a tripod, umbrella, and notepad. My propped up umbrella nearly took out a couple of plants on a few occasions. I had visions of me being escorted from the showground for taking out an exhibit. Pollen and the tiny barbed seed pods of London plane trees planted around the periphery of the showground whipped up by the wind left most of sneezing, coughing and scratching our eyes, rather ironically like a plant-based biological weapon had been unleashed on Chelsea. We both did passable impressions of a cat coughing up a fur ball on the journey home. Despite all of this the plants came out on top and I’ve come home brimming with ideas. 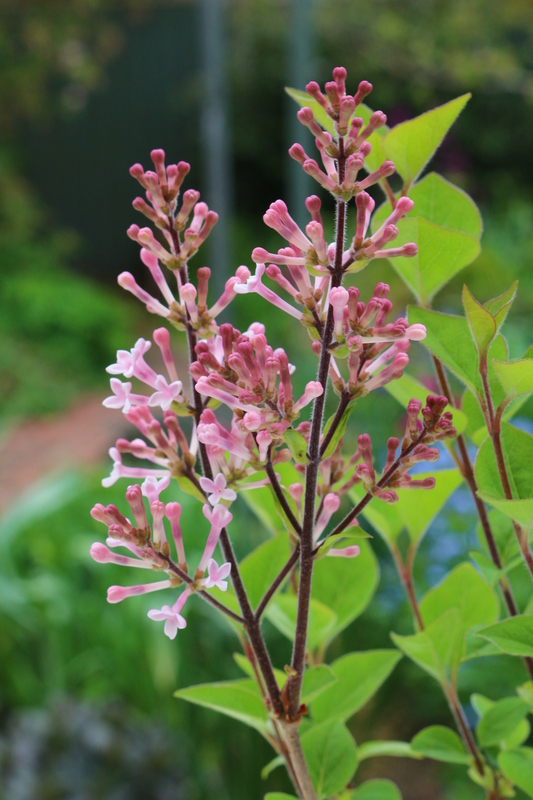 Mid-May can be a tricky time for gardeners frustrated by the weather and exhausted by the demands of a spring garden. 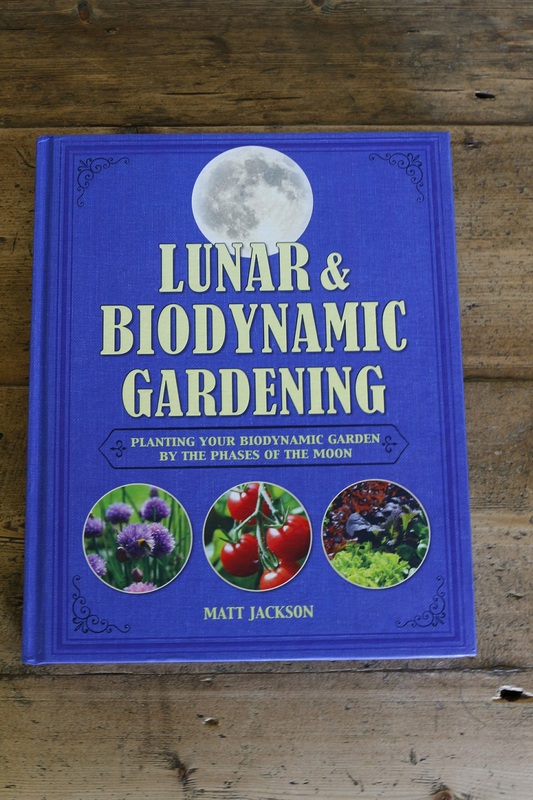 Chelsea is just the fillip this gardener needed.